The Sharjah Education Zone has banned all schools in the emirate from giving students homework and projects that force their parents to shell out huge amounts of money. 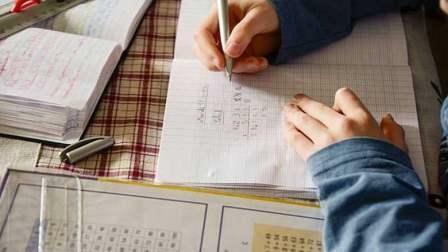 The decision comes following a circular issued by the Ministry of Education (MoE). Khaleej Times has obtained a copy of the decision that has been circulated among schools, which instructs their managements to ensure that all projects and homework are completed in the class, while warning them to refrain from calculating marks based on them. An official at the Sharjah Education Zone (SEZ) said that the department would immediately implement the MoE's circular. The move is aimed at reducing the burden on parents who already pay exorbitant schools fees to provide the best education to their children. These homework projects sometimes require materials that cost up to Dh200 for a single piece of work, which is unaffordable to many parents. If the students fail to carry out the project due to this, their overall marks get affected in the final exam. "This is unfair to the students. The teachers do not give a thought to the pressing financial situation of many families," he pointed out. Many parents had complained to SEZ about being overburdened with homework projects and activities being imposed by the teaching staff, on their children. It often involved buying cardboards, stickers, batteries and other items. Some parents told Khaleej Times that they have demanded that the projects be carried out internally in schools and under the supervision and follow-up of teachers, to ensure that readymade projects are not taken to the school, only to languish in libraries. Mohammed Al Amin, whose children are studying at Al Marifa International Private School, praised the MoE for taking prompt action to end the exploitation by schools that adds to the financial burden as well as stress borne by parents. "I feel stressed when I come home at 6:00pm from a long, tiring drive from office and my son asks me to do his project work." Many parents don't have the time and, so they buy the readymade project from bookstores. Safia Al Khaja, a parent, said: "Most of the time, we go to the bookshop and find a readymade project. We just pay them and take it, at the expense of a few extra bucks. I don't understand how students will learn from such projects. They get additional marks just for something we picked up from the bookstores. "The students have no idea what the projects are about. The stationery and bookshops are making hay while the sun shines. I guess there is some unholy nexus between the schools and bookshops." Leila M, a parent, said that projects and homework add to the family burden, not just financially but also mentally and physically. Working parents bear the brunt more. "My son used to get low marks. Once, when I got upset, he told me he answered all the questions, but the school deducted his marks because I couldn't help him complete the project. "I really would like to thank the MoE for taking this decision, which will reduce the burden and suffering of many parents," she said. Why the ban on expensive work? The ban decision came in the wake of a complaint lodged by a parent at Sharjah TV and Radio live show. The parent had complained that she had to leave her Emirates ID for several days at a bookshop to get her daughter's project done, because she didn't have enough money to pay for the cost of the project, which required buying a number of items. The Sharjah Education Zone has made the right move. Projects are assigned to students so that there is wholesome development. But if the project's worth depend on the expensive material and creativity of parents, then the aim is lost. Schools should support the initiative of the Education Zone and mark projects based on use of recycled material and innovative ideas. This will help bring about a positive change in the thought process among students.